All natural and preservative free, this Mineral Powder Foundation allows your skin to breath while providing seamless coverage. Our mineral blend of vitamins, essential amino acids, and proteins are designed to moisturize, protect, and soothe your face. The Mineral Powder Foundation is formulated with our other foundations coloring in mind, making it easy to switch between Mineral Powder, Pressed Foundation, and Cream Foundation. 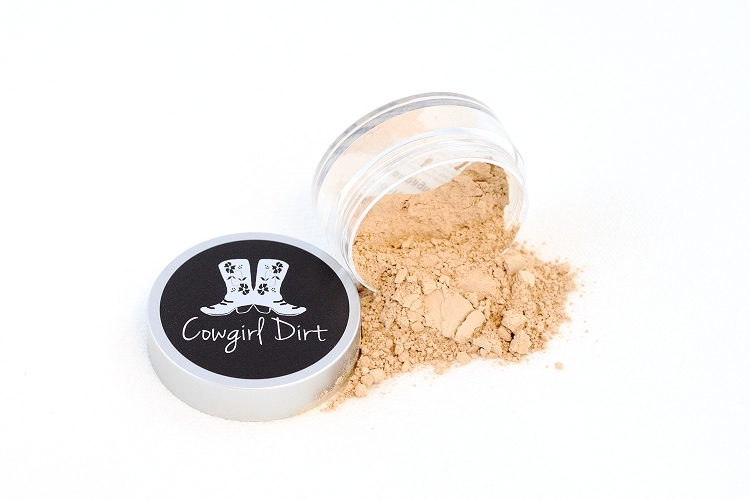 Regardless of your skin type or your skin tone, Cowgirl Dirt Mineral Powder Foundation will give you the smooth, natural coverage you have been searching for. 9 gram container. Comes with a sifter. I've loved this product when I've ordered before, and again, it did NOT disappoint! The color match is perfect, and so is the coverage/feel-- not too heavy or too light. I also love knowing I can trust this makeup to do good to/for my skin! This foundation gives really nice coverage, I love the container too. The sifter has a cover so it doesn't spill during travel. Best mineral foundation...ev-er. Great for any skin-type, from oil to dry. So comfortable, I've almost slept in it. Great coverage. Never feels "caked" on, just light and natural. Wonderful to my skin. This is excellent for giving your skin a natural, fresh glow, and beautifully evens out redness. The coverage is light-medium,so if you're looking for a thick coverage you may want to try the cream foundation--the powder doesn't fully cover acne or scars alone, but after applying a bit of powder foundation first I dab on the concealer wherever needed and then more powder on top and it works great. I love that it's gentle on my very sensitive skin, and i can get samples of everything before buying the full one. It lasts really well too. I keep coming back for more because I love the light coverage. This powder is natural-looking and evens out slight imperfections. No perfume-y scent, no junk. Lovely, But Still Can't Wear . . . I was SO hoping I could wear this foundation. The shade was could have been just one shade darker - I had ordered Champagne 1 - but it still looked nice. Went on wonderfully - and within an hour I knew I couldn't wear it long time because it stings a little, only it doesn't go away. This is what happens when I wear just about anything on my face. I have Rosacea and that's just the way it is. Otherwise, very nice powder! Loved this! So glad to order the samples and figure out my exact shade. Colors were very close to what they appeared on the site. I love this mineral powder for wearing around the house or if I'm not going out, it provides minimal coverage and goes on quickly. Doesn't dry my skin or make it oily. A large amount for the price, guessing it will last at least a couple months. The sifter is nice too. I am extremely pleased with this powder foundation! It goes on really smoothly and looks quite natural. From reading the reviews, I was worried that it wouldn't have enough coverage by itself, but I find it to be adequate for what I need. I have red hair, blue eyes, and fair, acne-prone skin. The buying guidelines state, "Typical caucasian skin colors can wear our Neutral Tones well. Also, skin that has a lot of ruddy, red coloring does well with neutral tones to help diminish the redness." I chose Champagne 3, and it does work really well for my skin tone. I think it's a little darker than I'm used to (I may use Champagne 2 next), but it isn't that big of a deal. Overall, it's an excellent product- I would totally recommend it without any hesitation! The benefits of organic, natural ingredients are infinite. Allantoin: As a cell multiplier and skin protectant, allantoin helps stimulate new and healthy tissue growth. Certified Organic Jojoba Oil: Nourishes and hydrates your skin. Certified Organic Neem Extract: This antibacterial and antiseptic gives your face even more moisture and soothing benefits. Certified Organic Raspberry Extract: This antioxidant supplies your skin with Vitamin C and bioflavonoids, while fighting off free radicals. 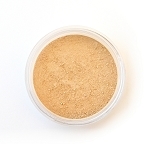 Silk Powder: This moisture balancing powder makes Cowgirl Dirt Mineral Powder Foundation great for every skin type. Additionally, it also contains amino acids and protein to give your skin an added health bonus. To achieve even application without wasting powder, start with Cowgirl Dirt's Large Foundation Brush and a small amount of Mineral Powder Foundation in the lid of the foundation container. Swirl the brush in foundation. Tap the side of the brush against the lid to ensure any excess falls off the brush. Apply the foundation in small swirls, working from the outside and moving in toward the cheeks and nose. Keep applying until you reach the desired consistency. Remember, with mineral makeup, a little goes a long way. For a heavier, more precise coverage, try using the Kabuki Brush. Light shades are numbered 0, 1, 2, and 3. Dark shades are 4, 5, 6, and 7. No matter what your skin tone, our specially formulated Mineral Powder Foundation will complete your look. You know you have the correct shade of foundation when the foundation blends perfectly with your skin in the sunlight. A: All three powders bring their own skin benefits. 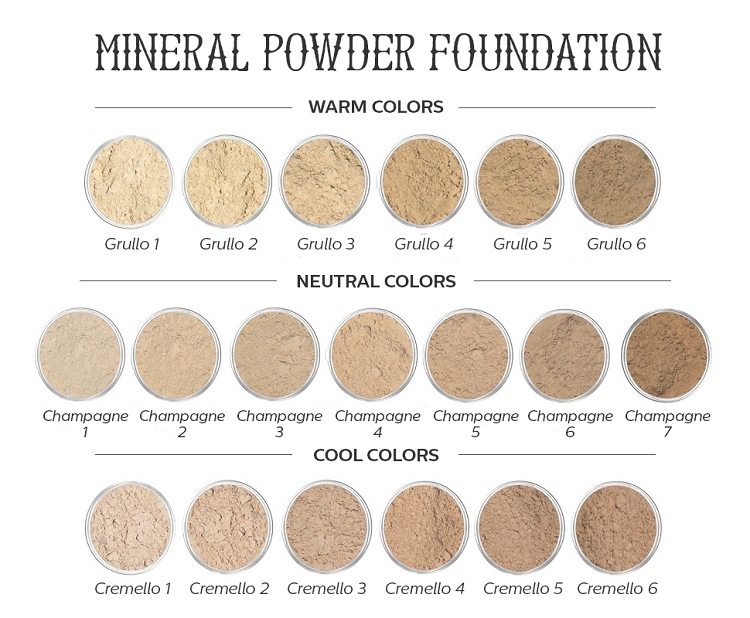 The Mineral Powder Foundation gives your skin the greatest coverage. Its thicker consistency provides a greater coverage while still giving your skin a natural flawless look. The Silk Veil evens out your skin tone before foundation application. It also can provide your skin with a simple everyday look for the days you donÃ¢€â„¢t need as much coverage as the Mineral Powder provides. Finally, Finishing Powder has the finest consistency and provides a finishing look over your foundation choices. The Finishing Powder ensures an overall smooth finish while also absorbing any oily spots on your skin.